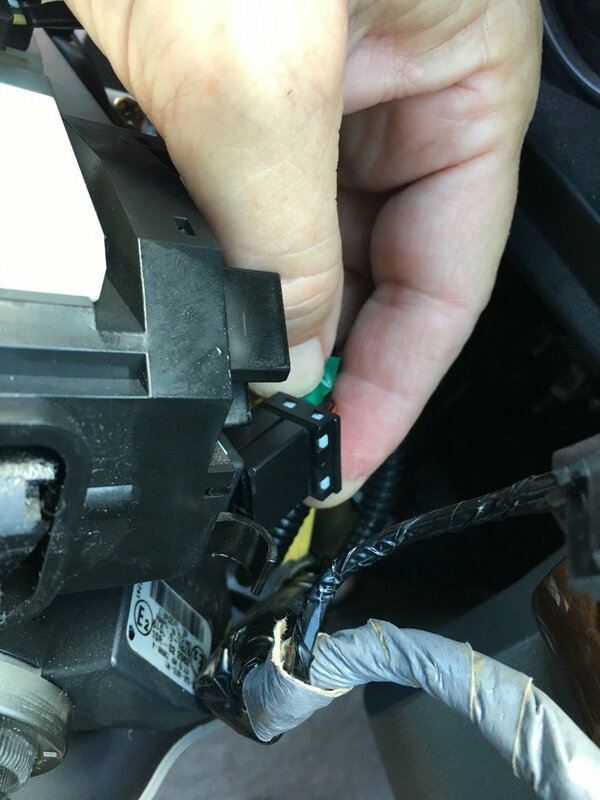 Original owner of '05 RL, wanting to replace Headlight/Turn Signal Combo Switch (erratic headlight flickering which corresponds to switch fiddling), but can't figure out how to remove the upper steering column plastic cover to gain access. I've removed the three screws from the bottom of the lower cover, but am afraid to start prying the upper and lower covers apart for fear of breaking something. 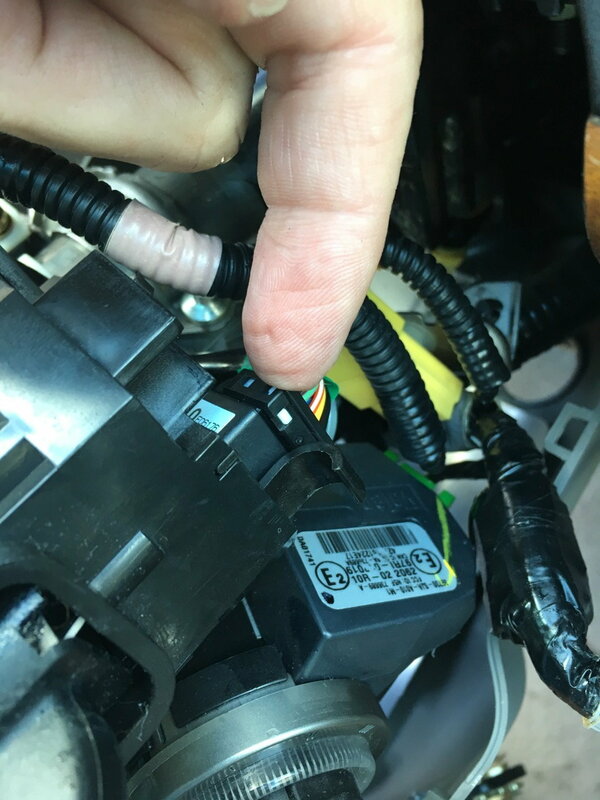 Is it as simple as using a pry tool in the right spots to release plastic clips, or are there screws behind the airbag that I have to get to? Have spent more hours than I care to admit to using my Google-Foo and searching this site, to no avail. Are both your headlights flickering or just the one? I can't see it being the combo switch if it's just one headlight and more likely the bulb or ballast. Sometimes the right, sometimes the left, sometimes both, thoiboi. 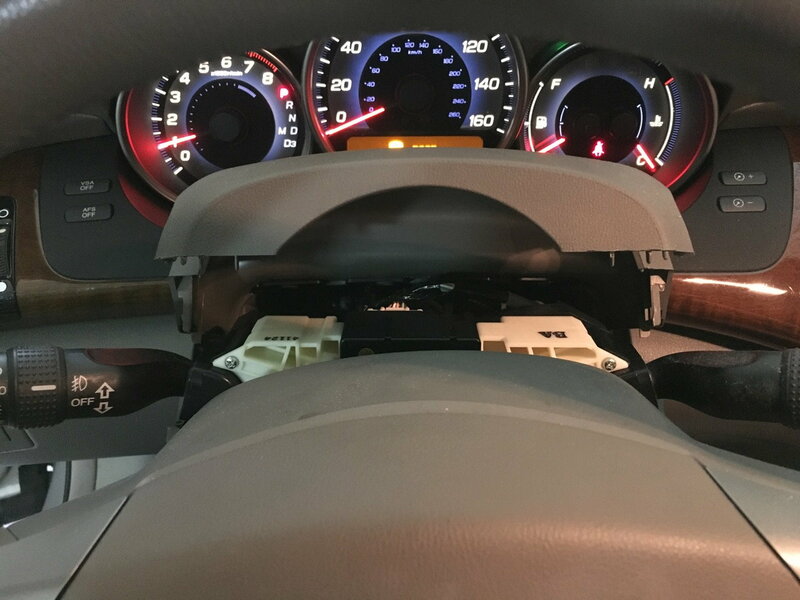 Sometimes it's a flicker, but usually a flicker then goes out completely, and won't come back on unless I turn the headlight switch off then back on., but even that is hit or miss. I've already purchased the combo headlight/turn signal switch. Just trying to figure out how to safely remove the upper steering column cover to gain access. I'll happily post the results after installing the new switch. Just need some guidance on how to safely replace it. I dont think that thread actually removes the cover behind the wheel OP wants off. Thanks, thoiboi. 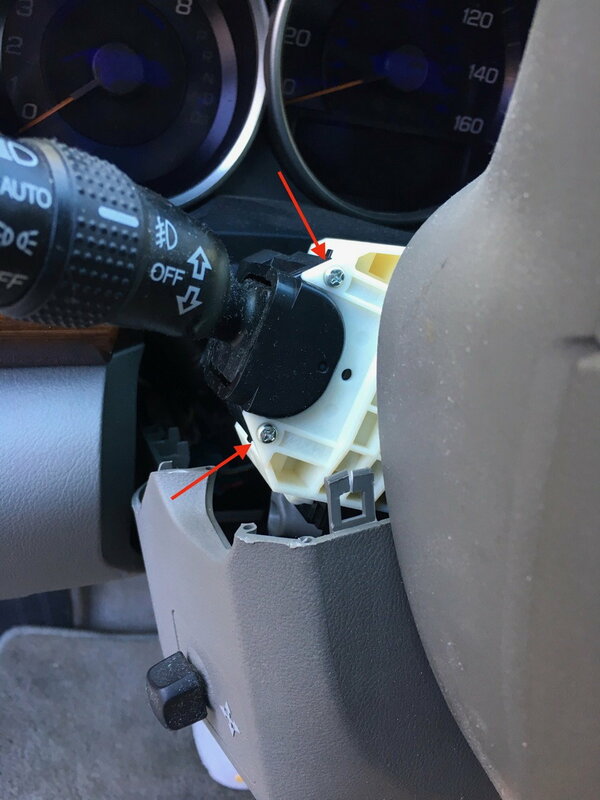 Yes, I saw that "steering wheel installation" DIY from Dr. neuronbob when I started searching, but it's not clear to me that the steering wheel/airbag need to be removed to acces the combination headlight/turn signal switch on my '05 RL. 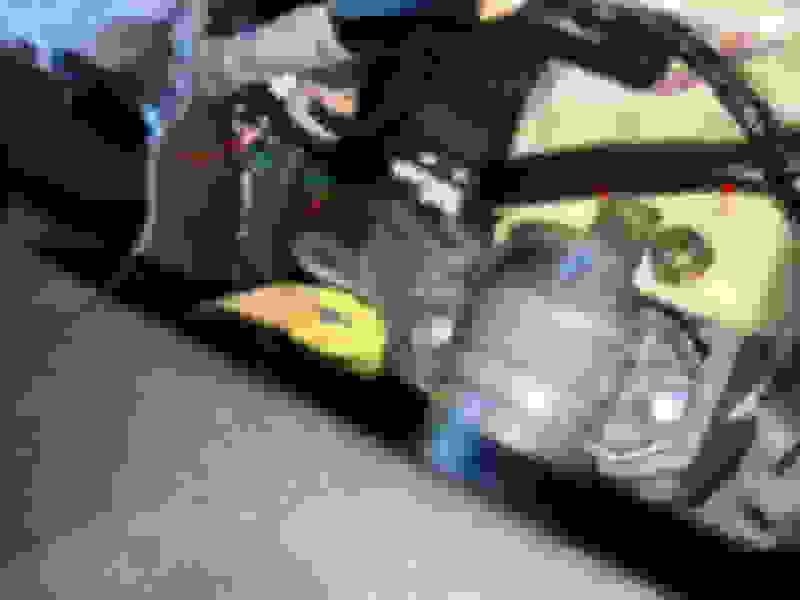 This annotated pic from neuronbob's post shows the seam between the upper and lower parts of the steering column cover "clamshell" I'm wanting to separate. Was hoping someone who's been through it before would give me a tip or two before I dive into it. Would like to eliminate the "error" from "trial and error". Ahh, thanks for clarifying, In my experience on another Honda, those two pieces just snap together and there are screw on the bottom piece but the top piece doesn't. A plastic spudger tool should split it up lickity split. Thanks again, thoiboi. Got 'er DONE! And replacement of the headlight / turn signal combination switch CURED my headlight flickering and functioning issues. I quit bein' a pansy and started prying away. 1. Steering wheel/air bag removal NOT necessary for this job. 2. I did, however, detach the cable from the negative terminal on the battery, and wait 30 min. 3. Steering wheel must be fully extended and in the full down position. TIP: The power adjustable steering column will retract and "park" automatically if you turn off the ignition as usual, but the column needs to be fully extended and in the far down position to facilitate this job. 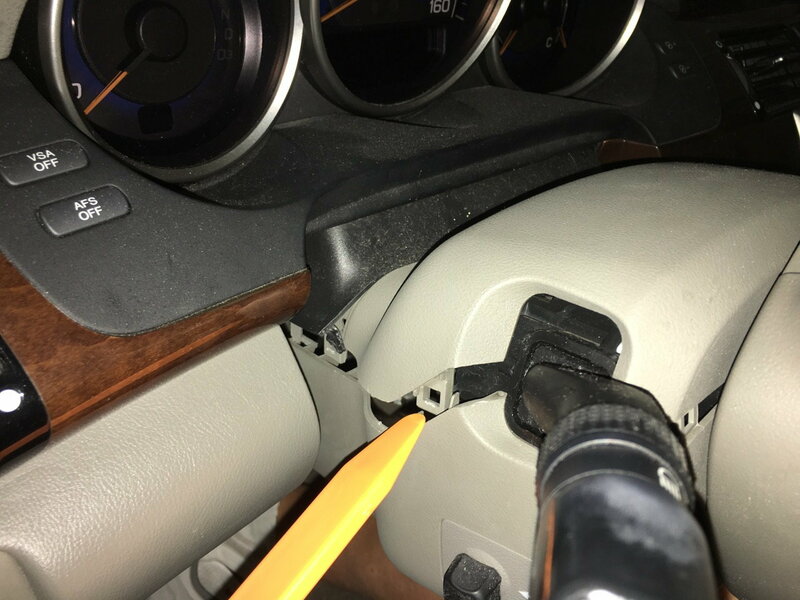 So, adjust the column with the manual power lever on the left of the column with the ignition in "accessory" "II" position, then detach the cable from the battery's negative terminal. 4. 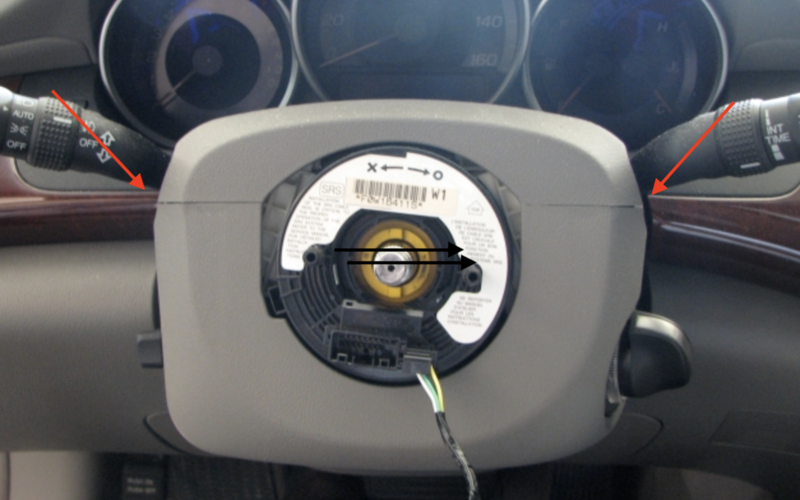 The lower half of the steering wheel cover needs to be loosened to allow access to screws securing the combo switch. There are 2 sheetmetal and 1 machine screws holding the lower half to the column. 5. The path of the switch cable and it's electrical connection location were a bit of a pain, and a few other cables had to be detached and moved out of the way to allow access. Pried the seam between the upper and lower steering column cover sections and popped 4 or 5 plastic clips on the left, then the right. Had to remove/loosen the lower cover as well, to expose the second of two screws securing the combo switch. Pulled out old switch connector . . .
Then popped in the new one! So, do I get to learn the Black Market Forum secret handshake now? Does your steering column click when turning with the turn signals on? How easy it is to remove the steering column cover? 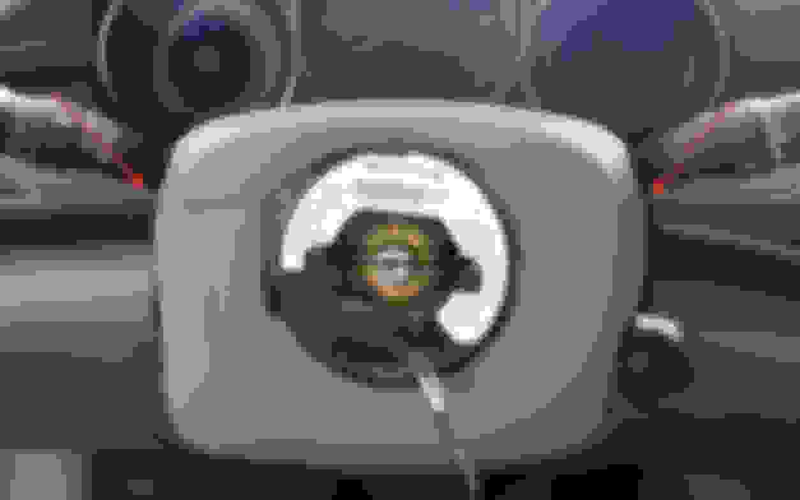 Will HFL Module Removal Affect Vehicle Voice Commands?